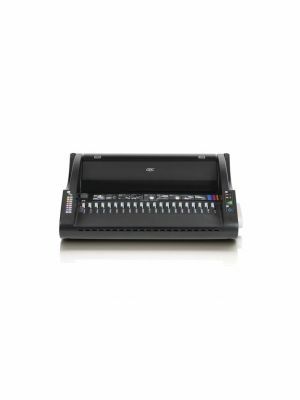 The Swingline GBC C340 plastic comb binding machine is here for users who wish to have a reputable asset for professional punching and binding support. The GBC C340 s equipped with countless features and a smart layout to suit all types of decors and work themes. 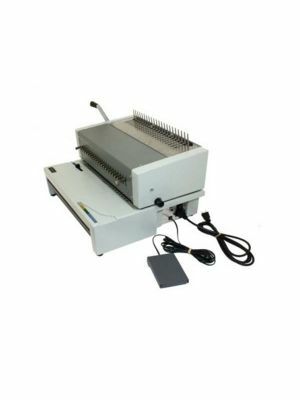 This manual binding machine will ideally manage small to medium scale punching and binding jobs without affecting any other priorities that you may have on your plate. 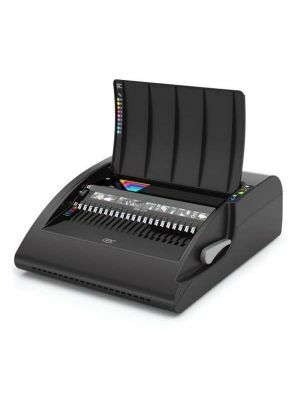 While being functionally adroit and visibly appealing, the C340 comb binding machine is bound to add vibrant functionality to your work space. 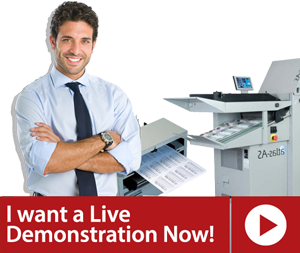 With the Swingline GBC C340 plastic binding machine, users can punch up to 25 sheets of paper at once. 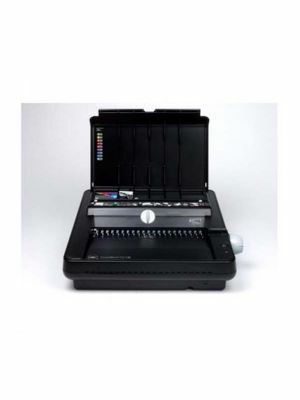 Paper Centering System, Paper Separator, 2" maximum spine size, color coded document and spine size guide are some of the highlights that users will love in this Swingline GBC plastic comb binding machine.